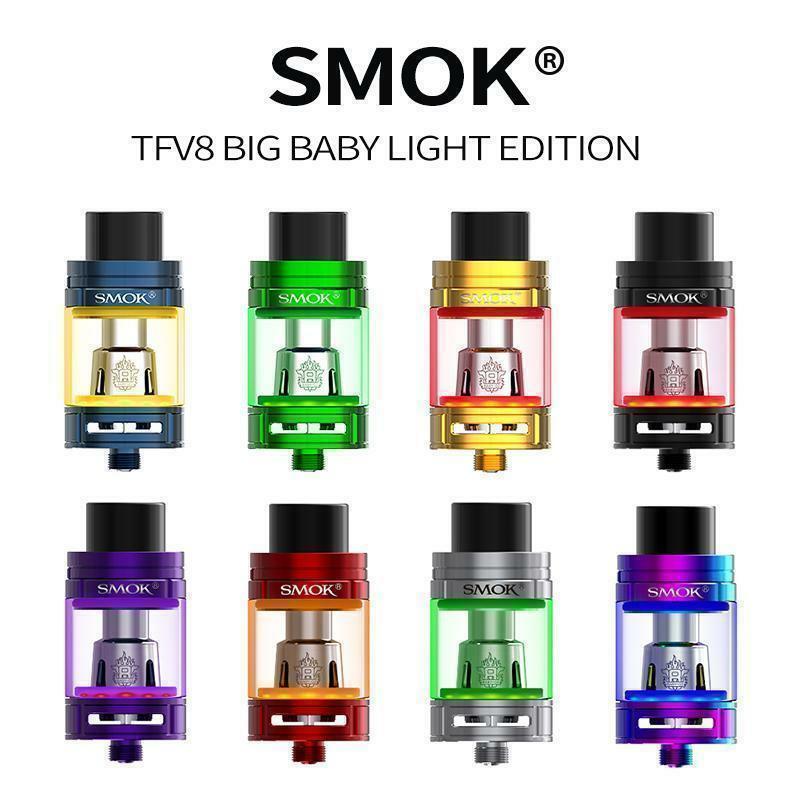 What really makes the SMOK TFV8 Big Baby Light Edition special and distinct from the others in the collection is the LED light located at the base of the tank. When the fire button is pressed, you will enjoy an alluring and elegant LED light, which will glow to the color of the particular O-ring in use at the time. You can change the illuminated color by simply swapping the seals, making easy customization as well. Not only is the tank’s LED light brilliant aesthetically, but also helps you monitor the remaining e-juice while in the dark. 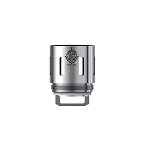 The SMOK TFV8 Big Baby Light Edition features a top-of-the-line dual-adjustable airflow control valve, which is located at the base of the tank. This spectacular valve is extremely useful, as it enables you to very accurately and precisely modify the volume of air that enter the device during use. You can rotate the adjustment wheel in a clockwise direction to decrease airflow, or counterclockwise for increased air intake. In doing so, you are afforded the ability to enjoy tighter or airier drags, in accordance to your personal preferences.